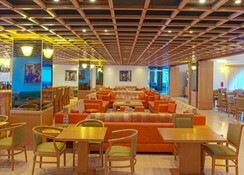 The Continental Palace Hotel offers a good standard of accommodation just across from the harbour and beach in Kos Town. The resort centre is just a couple of minutes away. 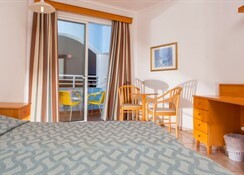 All of the hotel¿s 210 guestrooms are elegantly furnished, air conditioned and a have a large balcony with views of the sea. 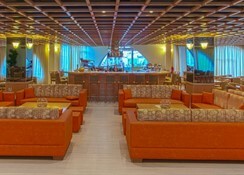 The hotel¿s spacious lounge and reception area lead out to attractive gardens and an inviting pool area. The gardens are also home to a mini golf course, a tennis court and a playground for children. 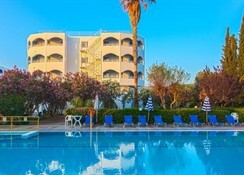 This hotel will appeal to couples and families looking for first class accommodation almost on the beach with a friendly atmosphere and sea views ¿ everything you will need for a relaxing holiday in Kos. The hotel has a swimming pool for adults and a separate pool for children. 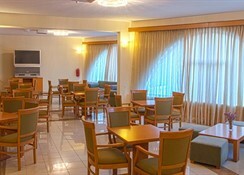 The hotel has a buffet style restaurant that opens for breakfast and dinner and offers a varied selection of international dishes as well as traditional Greek fare. You can also enjoy snacks, Greek salads, deserts and drinks from the poolside snack bar or relax with a cocktail in the garden bar whilst you enjoy views of the Aegean.